Travel and communication in the early medieval period were fundamental parts of people’s conceptions about temporal and spiritual power, which in turn demonstrated a ruler’s legitimacy. 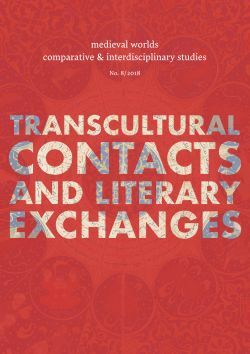 Examining the role of messengers and diplomatic envoys between the first Umayyad caliph of al-Andalus, ‘Abd al-Rahman III, and his fellow tenth-century rulers in Christian kingdoms, including the Byzantine emperor Constantine VII Porphyrogennetos and the first Holy Roman emperor, Otto I, illuminates internal and external negotiations that defined the pluralistic Iberian society in the early Middle Ages. Formal religious and ethnic differences among Muslim rulers and non-Muslim messengers enhanced the articulation of political legitimacy by the caliph. Diplomatic correspondence with foreign rulers using the multiplicity of talents and ethno-religious identities of their subjects was part of the social order provided by the Andalusi rulers and produced by those they ruled, demonstrating the political authority of the Umayyad caliphate.